On the afternoon of November 27th, Jinjiang Anhai Toys Association held its seventh general meeting. Xu Qinghai, chairman of Quanzhou Jiali Children's Products Co., Ltd., was re-elected as the president of the new board of directors, Xu Binbin, general manager of Jinjiang Lili Toys Co., Ltd., Quanzhou Guolian Toys Li Junyang, the general manager of Gifts Co., Ltd., was elected as the vice president of the new council. Xu Qinghai, president of Anhai Toys Association, said that in recent years, in the face of the economic downturn and the frequent pressure of technical trade barriers in Europe and the United States, Anhai toy industry has gradually transformed into a baby industry through platform construction, introduction of e-commerce and creative resources. A road to innovation breakthrough, in the fierce market competition to achieve contrarian growth. Xu Binbin, the second-generation female entrepreneur and vice president of Anhai Toys Association, said that he will play a role in connecting new members and seniors, sharing and sharing fresh experiences in equipment, technology and marketing with member companies to promote the health of the guild. development of. It is understood that the Anhai Toys Association was established in 1992 and currently has more than 60 member companies. 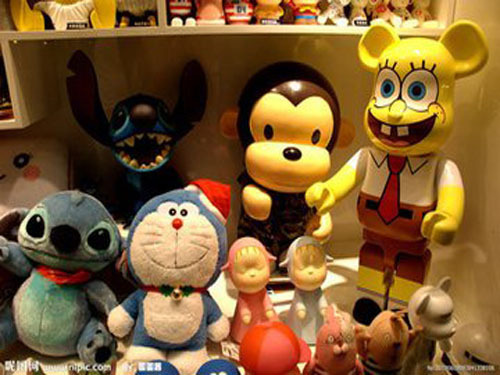 In the first three quarters of 2014, Jinjiang Toys broke through 60 million US dollars. Anhai is a relatively concentrated production base in Jinjiang, and Anhai Toys exports account for half of the country.